With all the positive promotion that’s been going on in my career over the past couple of weeks you’d think I’d leave well enough alone, right? Well, I’d like to–but that’s really not me, now is it? Not trying to cause problems, but I would like to address an issue that seems to be pervasive when it comes to dealing with clients…or rather “clients”, because these are hypothetical clients, not actual, real clients. Actual, real clients negotiate pay with you and then pay it. Hypothetical clients are the ones that talk about hiring you, but then balk at what it will cost. Lately I’ve been applying for various freelance jobs at an online site called “Freelanced.com”. Not putting down Freelanced.com at all, they’ve proven to be much better than my previous online freelance job listing site, both in cost to me and in returns (which is to say my first job from them has paid for their services for a year and then some). I won’t name the former service that never earned me a penny–let’s call them “Mud”. But even though Freelanced.com has been doing a good job at offering me listings for jobs that might actually fit my specialties–as well as giving me a good platform to show my portfolio, many of their clients still don’t seem to have a clue what creative artwork is worth! Seriously? You think $2000 is going to get you a complete DC or Marvel style book of 90 pages? That’s $22 per page! If this sounds like I’m just being lazy or full of myself, I’d like to point out that I can draw around two pages of pencils per day. I can also ink around two pages a day, possibly color up to four if I’m really pushed, and letter maybe six to ten (if they aren’t too heavily dialogued). The point is that a complete page of competent comic book or graphic novel artwork will take me at least three days from start to finish. For $22 dollars? Does this “client” really expect me to live on $7 a day? And that doesn’t even begin to pay for paper, ink, computer, electricity and all the other things that make a studio run. If I were doing this as a hobby, okay–$22 for a page might be okay, it would possibly pay for my paper and ink. But not my time, not even close. So I’m sort of losing my patience with this sort of thing. Again, are they kidding? I’ve had my comics in comic shops. For the past thirty years I’ve had comics I’ve worked on in comic shops, and while I’m honored that people have purchased those titles such recognition does not pay the bills. This does not mean that I have never done work on a speculative basis. I’m constantly talking with friends in the industry about doing work with them that may force me to take on some work that will remain unpaid until the project is completed. But these are people with proven track records–published authors, screen-writers, producers, etc. Not some guy who thinks his idea is pure gold because his Mom likes it! Sorry, that sounds really harsh. Just venting. What are the chances that any of the would-be “clients” I’m dealing with on Freelanced.com will ever read this and think twice before posting a job like the above examples? Slim at best. But actual clients should know what the costs are going in. 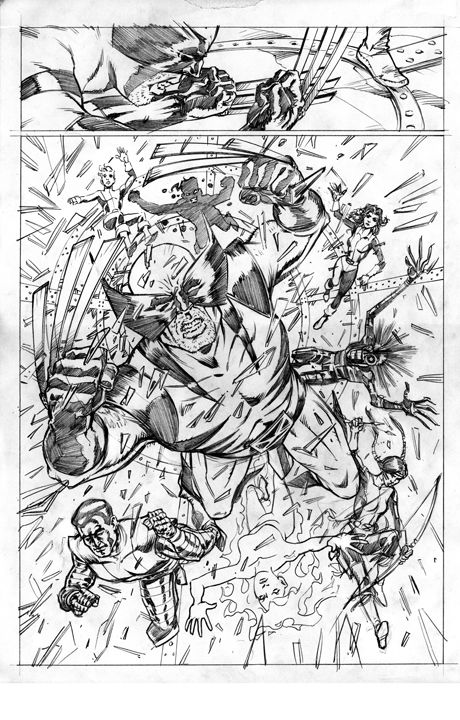 Any legitimate client should know that $60-125 per page of pencils is barely getting by for a professional artist. Not because we’re driving around in Rolls Royce automobiles, and have butlers and pool cleaners to pay–just so we can put bread on the table. Let me break this down a bit. If I get $125 per page of pencils and inks (my go-to rate at this point) and assume it takes one day to pencil and one day to ink that page, that comes to $62.50 a day. Now I CAN work faster than that, and often have–but it requires my total commitment to do so. I can’t be taking time off to go to the bank, do my laundry, write blogs, or even answer the telephone most of the time. So that page-a-day rate of production requires as much time as a regular full-time job, anything faster and we’re looking at 12 hour days, and long weekends. $62.50 per day equals $375 a week if I work Saturday too–and I usually do. With that, I’ve got to pay for electricity, phone bill, equipment, supplies, shipping (or file transfer), as well as help pay the household bills that my wife also works to pay for. Or to put it another way $375 per week is $19,500 per year. No Rolls Royce in my driveway! So I try to supplement my income by selling original artwork, licensing artwork out to other people, taking on advertising jobs that pay way better than most comic book or graphic novels ever could. But people don’t seem to appreciate these facts. My wife, Karin, and I have marveled at the following: people will pay her to come play harp or violin at their wedding for several hundred dollars an hour. As soon as the notes are played that’s it. There’s no reproduction rights to the music she’s played for them! Whereas in my case I’m often asked to sell the reproduction rights to my work–in perpetuity–for $20 per page! 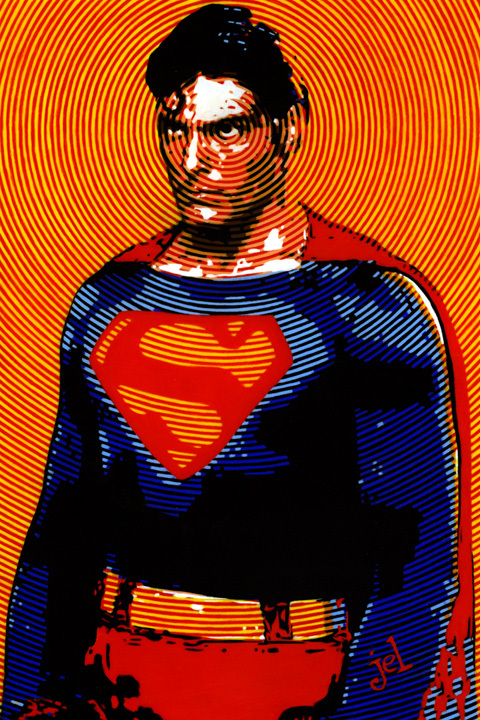 People make a big deal about the raw deal that Siegel and Shuster got on Superman. $130 for 13 interior pages (did they even get anything for the cover?) is ten dollars a page. Now, seventy-four years later, people are offering twenty dollars a page for the same sort of thing. I bet you not one of them gets the irony. So, the title promised some tips for comic book clients. 1) If you really want to get a competent professional for your comic book or graphic novel–at least be willing to pay them a living wage. 2) I don’t care how great your concept is, it is not going to sell itself. Never has, never will. Just getting your book into comic shops is an uphill battle at this point–having a run-away success will require a lot of hard work after the product is made. 3) Don’t act all insulted when you get artists passing on your project. The story may very well sound great to them, but they have to make a living. Oh, and for those of you who may be reading this and thinking, “why not get it financed through crowd-funding?” Yeah, why not? I’ve heard that a lot lately–and it’s not as easy as it sounds. And it’s not inexpensive either. I recently pitched a graphic novel project on Kickstarter along with published YA author, Shane Berryhill. He’s got credits, I’ve got credits…we’ve both got published work in bookstores across the country. We offered a complete, self-contained first chapter of the story FREE to everyone we knew on FaceBook. We got a film maker friend to shoot a promotional video for the KS at Heroes Convention and offered all sorts of incentives to comics fans who’d back the project. We even had a couple of publishers lined up offering to put the book out once we got the funding! Guess what? It didn’t make. We didn’t get 10% of what we were asking to complete the other three chapters. All we were asking was enough for me to complete the interior artwork at a reasonable rate of speed and a reasonable rate of pay so that the bills could get paid while I devoted 6 months to the project. So, for those who are thinking crowd-funding is the answer to all creative cost issues–think again. I still keep a positive attitude. I still approach potential clients in a friendly manner and am very straight forward about what I normally charge for my services. But I seldom hear back from these folks, and I’ve been examining postings for such work a lot more carefully lately. If you know of anyone planning such a project, you might point them in this direction. Let them see what is truly required to make their graphic novel a reality.